Founded in 2011, by H.R. Cole, we are the independent multimedia production company that puts a focus on the World of Independent Entertainment. Whether it's film, music, fashion, sports or business, we spotlight the indie artists from all over the world. 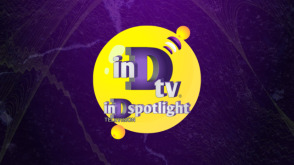 You will find what's TRULY NEW in Indie Entertainment from inDspotlight Productions™.